This series of products has the English, Russian,Spanish Voice. The default delivery English system.If you need other language. please leave us the message. Attention PLS:This manual is only in English.we have PDF English manual.if you need it .Please leave your email.I will send it to you. 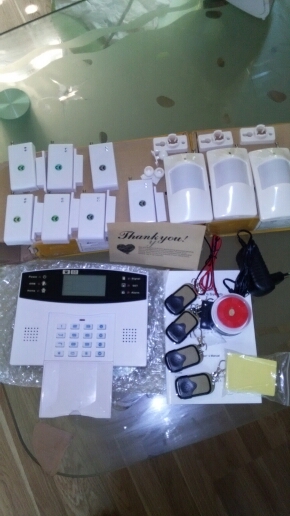 Wireless GSM intelligent anti-theft electronic alarm system is an innovative mobile intelligent alarm device integrating GSM digital signal processing techniques and imported STC microprocessor, and a variety of technologies including digital voice announcer, SMS, learning code pairing, etc. 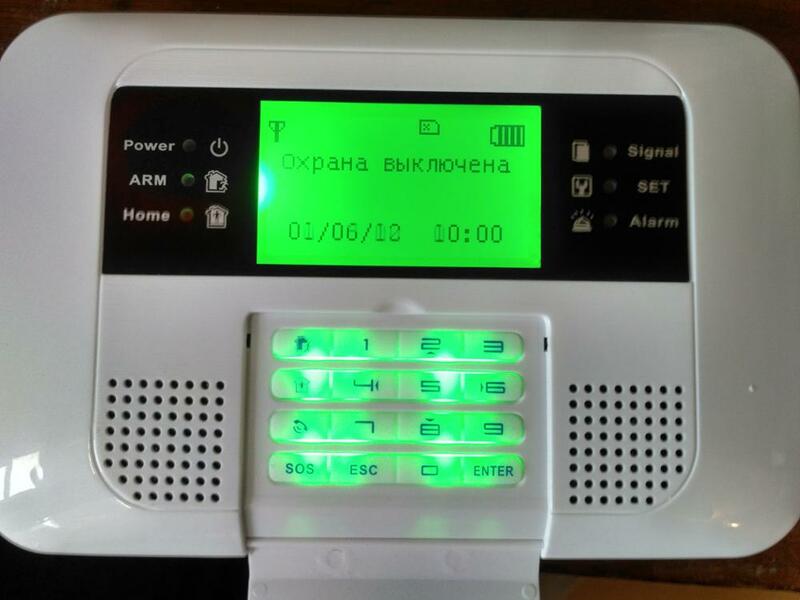 In addition, this alarm system is highly automatic, giving automatic voice or SMS alert in the event of emergency without intensive manual settings required. 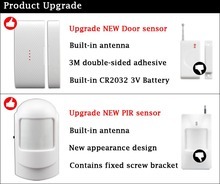 Features of stability, reliability, safety, and humanizing control enable it to be widely used for security in shops, convenience stores, offices, villas, residential communities, etc. 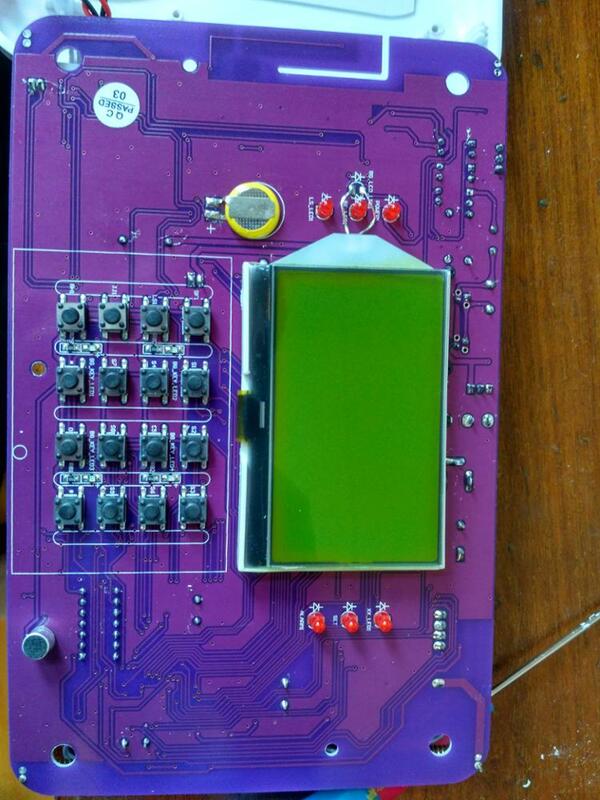 128X64 dot matrix display in both Chinese and English language. The built-in clock is convenient for time checking. Original operation system for the main unit allows simple operation. 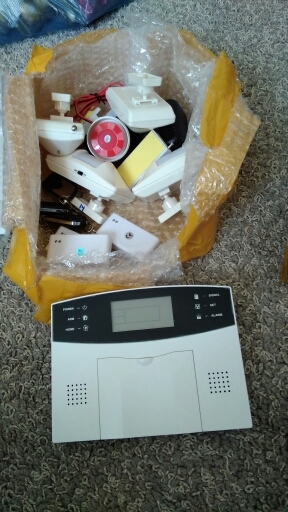 4 wired and 10 wireless zones, each can support 10 detectors (the maximum is 100). 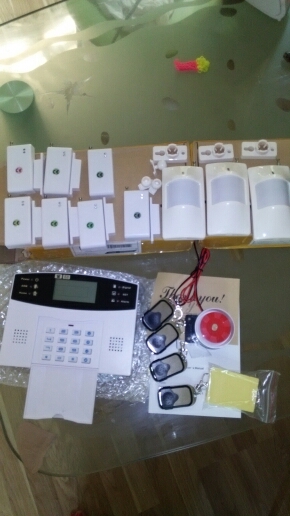 Code pairing for up to 8 wireless remote controls. Built-in intercom speakers with high acoustic quality and large volume. 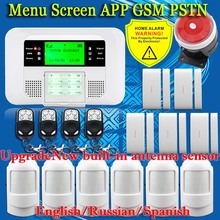 Preset 6 alarm phone numbers, which the main unit shall dial automatically to make voice alarm. 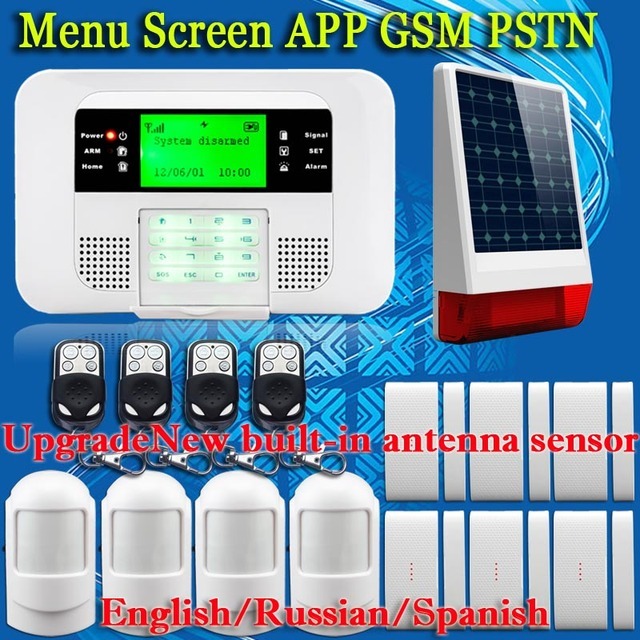 Preset 3 SMS numbers, to which the main unit shall send the alarm SMS automatically. 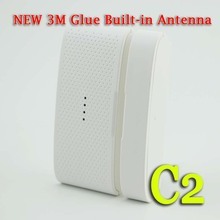 Built-in digital voice announcer, which shall report alarm conditions automatically. Built-in SMS in English/Chinese, which shall be sent automatically. Telephone function, allowing communication with any phone via the main unit dialing. 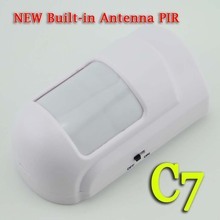 One key control to arm the system via remote control or telephone when at home or outside. 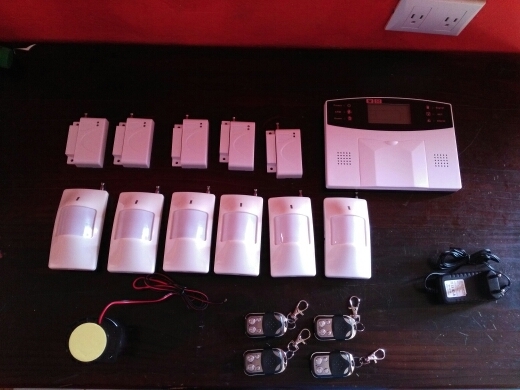 Programming for alarm place: help-seeking, fire, gas, door lock, living room, window, balcony or surrounding alarm. Various programming functions for zones, such as real time, delayed, 24 hours and bypass. Learn the code pairing through wireless way. It is easy to add new parts in safe and efficient way. 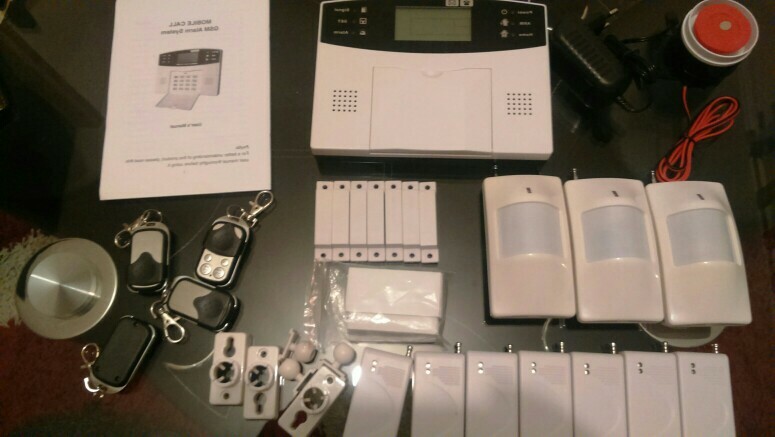 Various functions, such as remote control, system arming/disarming, monitoring and intercom. Inquire event recording: the main unit can record all the information of 40 alarm events automatically. Multi-arming modes: real-time arming via remote control, delayed system arming when outgoing, arming at home, arming at appointed time, remote arming via phone. 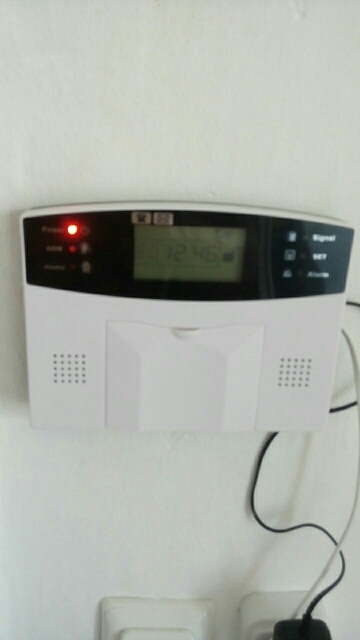 Maintain the top priority of alarm: If there is alarm while calling, no matter incoming or outgoing, the main unit shall hang up call and dial the alarm phone immediately. Built-in lithium battery with high capacity to enable alarm while power-off. Attention PLS:This manual is only in English.But we have PDF English,Russian and Spain manual.if you need it .Please leave your email.I will send it to you. 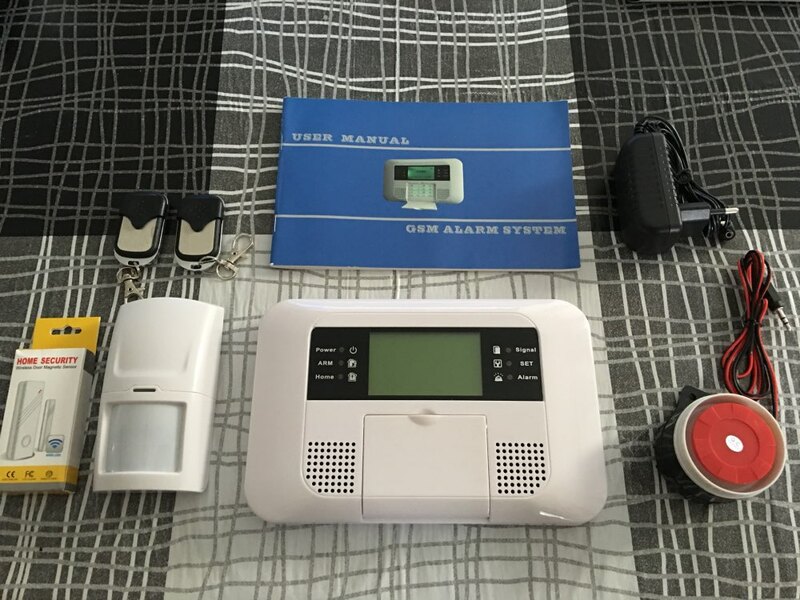 Installation Guide If you need, you can also contact the police, fire department, hospital or other emergency personnel to come to your home immediately. You can contact child/older to confirm whether they are okay or in need of asistance. 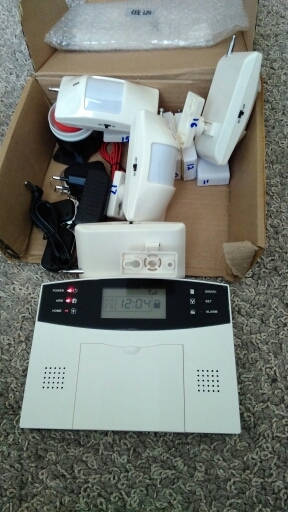 Great seller thanks for the system alarm i like so much. The ORDER arrived in ten days! 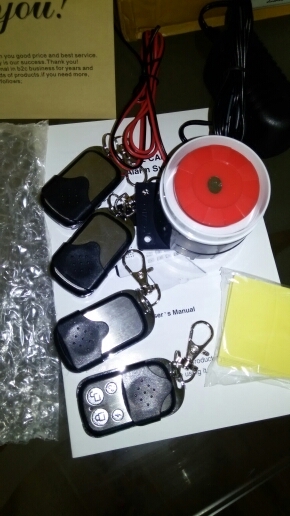 Incredible, well packed, although las BATTERIES were not included in the photo eye sensors, the SIREN that Is light and plastic Is ensordecedora, very brassy and Squeaky, every time you ARMA and disarmed ring a bell A and two times, and More worth taparse the ears. the Controls Pimps, and the menus in SCREEN In Spanish very SIMPLE and intuitive, the manual in English well understood, although the explanatory video on the web Is much More easy to understand. Received another batch, everything is fine. came to Odessa for 3 weeks. I recommend. I will take more. Committed 3 order like everything. I recommend. but be aware no batteries. it has extra costs. Good seller. goods are good. packed securely. delivery fast. Perfect as Always! 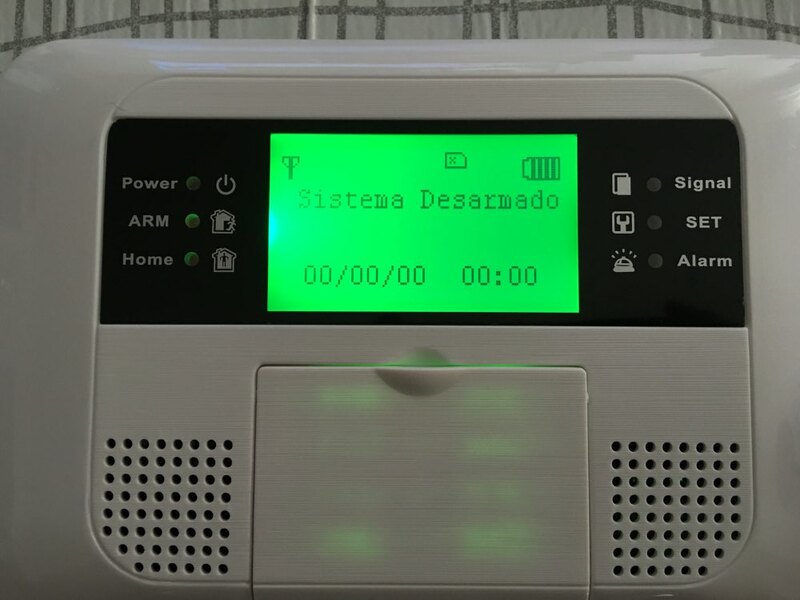 In Spanish and can be connected By phone line Fixed! Danian the moment all pratsyuє, zadovoleny! Translation into Russian is terrible. I want so you can turn down the sound entry evidence, as well as very bright LED питаний, tape is stuck and still hit in the eye In general alarm. Received, the work has not yet tried. Russian localization as always curve take the English. 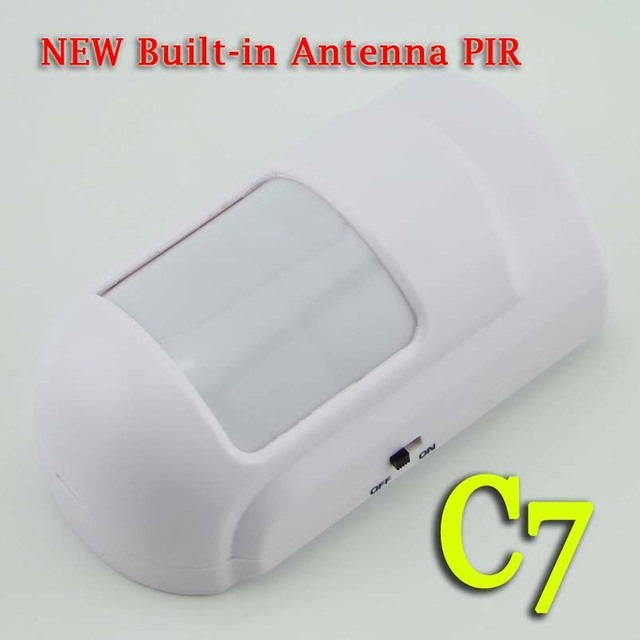 wireless door sensor new model, from the kit, not compatible with the alarm. It's all intact. The check did not. Separately, all included. As always at the highest level. 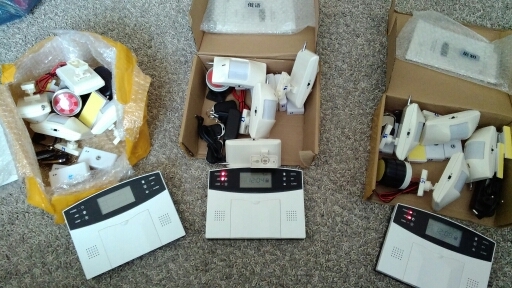 already received the seventh set delivery to Odessa 3-4 weeks. no complaints about the work. worth the money. 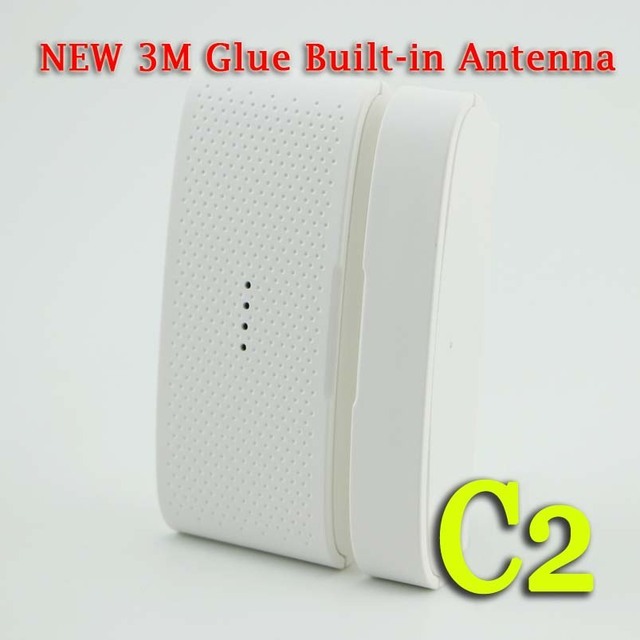 Good Seller and product , everything works fine, best price and shipping . it was shipped in 4 days via DHL option for about 15 bucks . 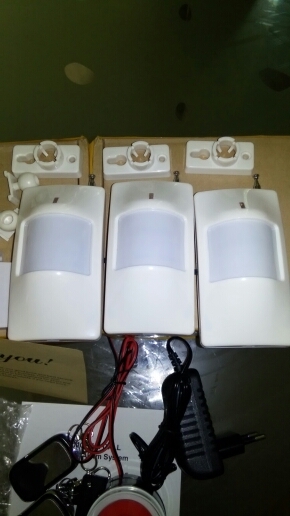 pir and door/window sensors works perfectly like the main unit ; shipped all in my language ; very fast set up. System dvolno reached quickly. packed securely and safe all together all works. system is worth the money. dealer sociable, the instructions in Russian sent e-mail. mail. prodovtsa recommend offset 5 +. 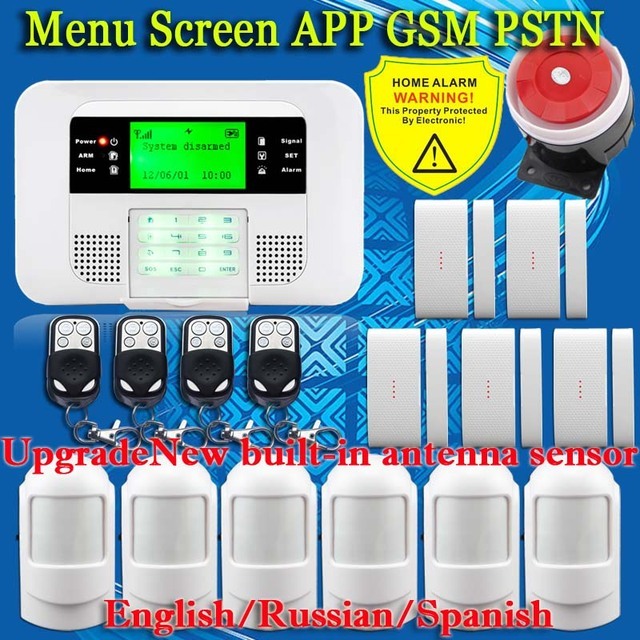 great alarm, simple and clear menu, everything works fine, the seller is very communicative and he quickly answers all the questions and solve any problems. Goods came, all complete, everything works well. in Russian. Excellent product. The only negative-the absence of any presets, including no factory settings. Very fast delivery. Goods come in 18 days. complete all consistent with the description on the number of pieces. was disappointed that there was no batteries. so after buying consider another $15 on the crown and so on. Very happy with the alarm. Expectations at 100 percent. the seller sent the instructions in Russian within an hour after my request. 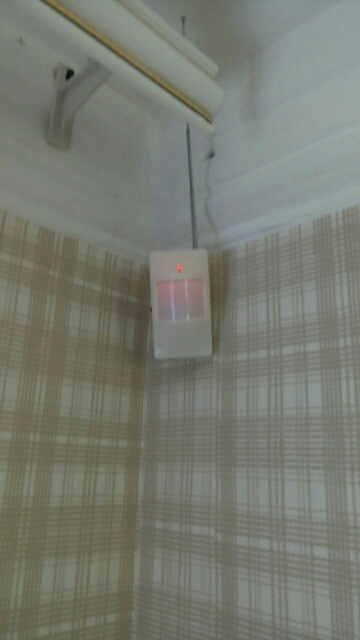 so i was pleased with the acquisition of the alarm. Delivery about three weeks. all come in the description. no instruction in Russian. installed without problems. everything works. 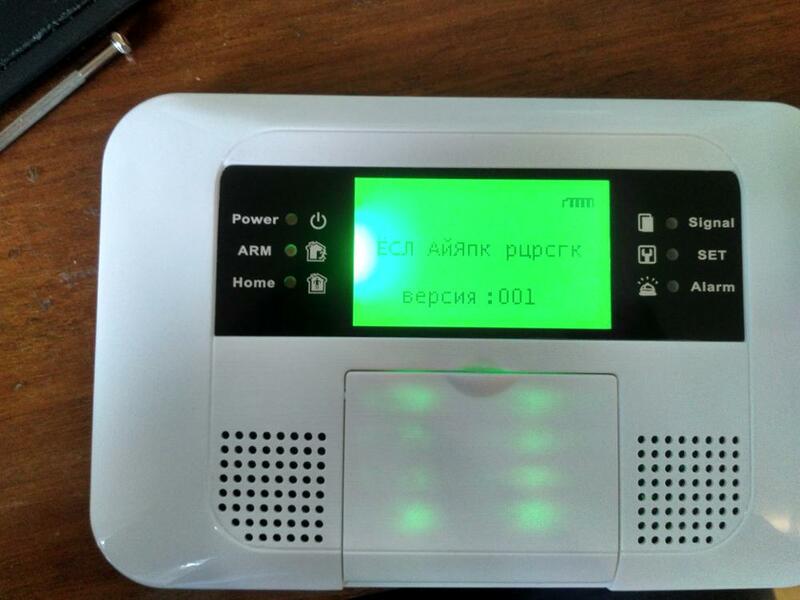 Excellent alarm everything works as stated on the website for the money in Russia is not buy anything like it! I recommend the seller!!! 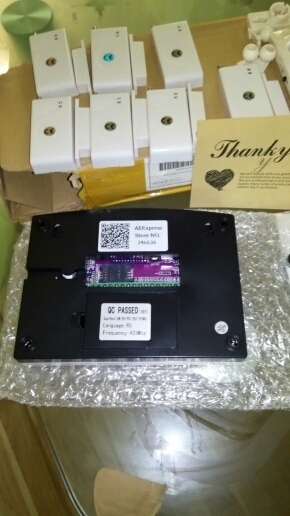 Good figment, EVERYTHING arrived well, PENDING try. 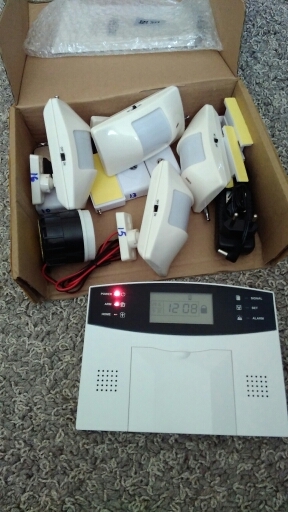 Nice alarm - Very good quality product. 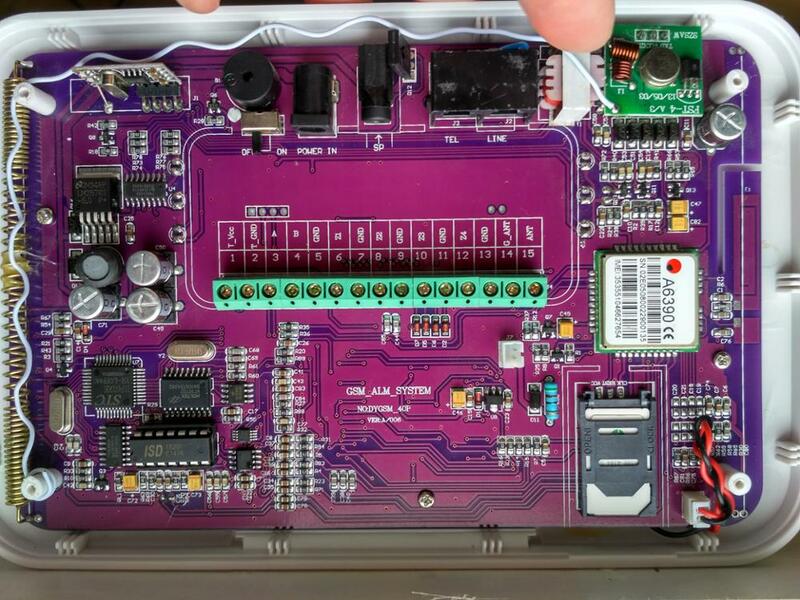 The door / window opening sensor uses a 23a battery (not included) which is not readily available locally. I wish the battery type was more obvious when I ordered. The second time already bought cheaper than the first, but the quality has fallen. voice in Russian no, the sound пердячий and scratchy nichrome not understand that said that a woman. but in general seems to work. delivery month, the seller is adequate, If you have any questions or want to change the completeness, no problem everything is solved.